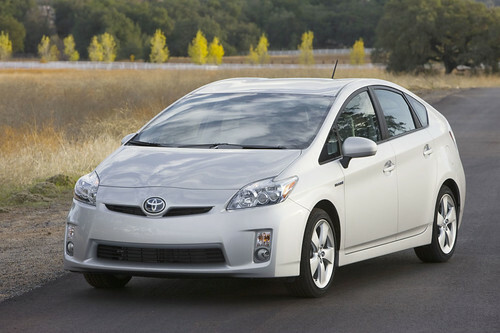 The Toyota Prius is a full hybrid electric mid-size car developed and manufactured by the Toyota Motor Corporation. The EPA and California Air Resources Board (CARB) rate the Prius as among the cleanest vehicles sold in the United States based on smog forming and toxic emissions. The Prius first went on sale in Japan in 1997, making it the first mass-produced hybrid vehicle. It was subsequently introduced worldwide in 2001. The Prius is sold in more than 70 countries and regions, with its largest markets being those of Japan and North America. In May 2008, global cumulative Prius sales reached the milestone 1 million vehicle mark, and in September 2010, the Prius reached worldwide cumulative sales of 2.0 million units. The U.S. is the largest market, with 814,173 units registered by December 2009. In February 2011, Toyota started asking the public to decide on what the most proper plural form of Prius is, including Prien, Prii, Prium, Prius, or Priuses. The company says "it will use the most popular choice in its advertising.